Since the 1970s, when the notion that Type 1 diabetes (T1D) represented an autoimmune disease was established, much of our knowledge regarding the pathogenesis developed from analysis of serum and peripheral blood lymphocyte obtained from patients with the disorder. Utilizing these samples, investigators discovered evidence of both humoral and cell‐mediated autoimmunity to islet cell antigens, identified gene variants conferring susceptibility to the disease, uncovered evidence of compromised immune regulation, and much more. At the same time, efforts involving animal models of diabetes, especially non-obese diabetic (NOD) mice, were also utilized for this goal, to perhaps an even greater degree (in terms of sheer numbers of publications) in an attempt to define how T1D develops. From these collective efforts, many pathogenic and natural history models for the disease were developed, some eventually taking on the form of intellectual “dogmas”. Times are changing…dramatically. This, as recent efforts, including those investigating the actual target of T1D‐directed autoimmunity in humans, the pancreas and its insulin producing beta cells, have resulted in a situation where multiple long‐standing dogmas are actively undergoing major reconsideration and readdress. 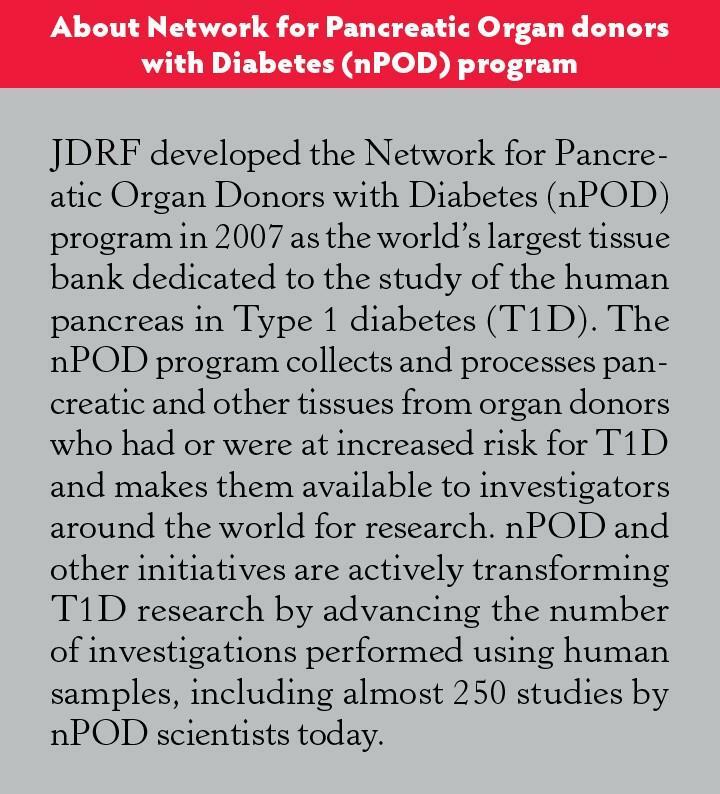 Much of this revolution in thought has been driven over the last decade from knowledge gains resulting from studies involving JDRF’s Network for Pancreatic Organ donors with Diabetes (nPOD) program (www.jdrfnpod.org). The primary reason studies of serum and peripheral blood have predominated T1D research relates to the fact that investigations of the pancreas in those with or at increased risk for the disease (i.e., autoantibody positive non-diabetic individuals) are limited by difficulties in obtaining suitable tissue. 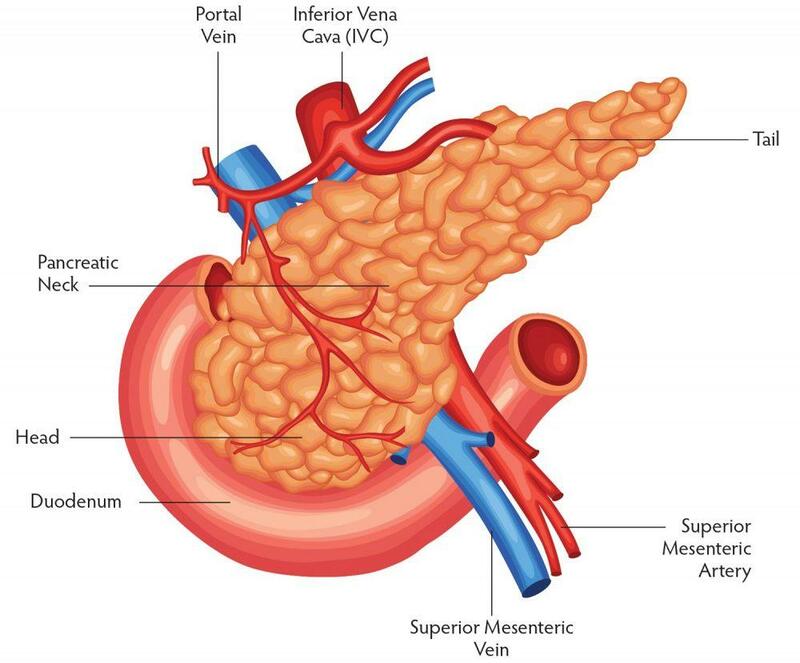 Historically, the most common source of pancreatic specimens from such subjects involved retrospective collections of pancreas obtained at autopsy from individuals, a small portion of who died at or near the time of their disease diagnosis. This autopsy-based approach was hampered by several significant limitations; the pancreatic tissues were often subject to a pronounced degree of autolysis, were of limited quantity (i.e., one or a limited number of tissue blocks) and, these samples were most often formalin‐fixed; all factors that significantly limited the range of information that could have been gleaned from studies on these otherwise highly valuable-pancreas. It was on these notions that nPOD was founded in 2007. 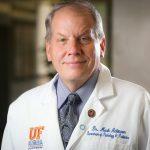 The organizers (self-included) thought, and continue to believe, high quality pancreas obtained from organ donors in the United States, when combined with modern assessments of metabolic activity, immune function, clinical history, beta cell biology, developmental biology, as well as new technologies, should allow for major improvements in our understanding of the pathogenesis of T1D. From an organizational perspective, nPOD also needed to overcome a series of challenges related to external views of our proposed operational model. First among those were common beliefs that organs cannot be recovered from subjects with T1D and moreover, that tissues cannot be obtained with a degree of quality that would yield valuable information. Thankfully, these “misconceptions” have been overcome. As a result, in the Fall of 2018, with nearly 500 cases in the nPOD biobank, investigators around the world (some 230 projects in 21 countries) are, in effect, “re‐writing the textbooks on how T1D develops.” What are some of those changing views? Here, we list just 10 of the many concepts, from some six major areas (see table, above), that have changed dramatically. Dogma 1: At time of T1D diagnosis, 90-95 percent of the insulin producing beta cells have been destroyed (note: a concept often shared with patients and their family members). Reality: Beta cell loss at disease diagnosis is quite variable, being more severe in younger children, but in many patients it is significantly less than 90 percent. Overall, across all ages, 40-90 percent of beta cells are lost at time of T1D diagnosis, and the remaining ones may not function properly. Through targeted therapies at diagnosis, hope exists that the function of remaining beta cells to produce insulin may be restored and maintained. Dogma 2: Within weeks to a few months after T1D diagnosis, the pancreas will be devoid of insulin producing cells. Reality: nPOD studies of T1D pancreas reveal that in many patients not all beta cells are lost, even decades after diagnosis. These findings are consistent with recent studies of living patients demonstrating the ability of persons with T1D to make exceedingly small amounts of insulin. While these remaining beta cells are too few to prevent the need for insulin injections, identifying why they are preserved may provide clues as to how to best exploit what function there is, how to prevent beta cell destruction, and possibly to generate new beta cells. Dogma 3: With long-standing T1D, the ability to produce insulin or its hormonal precursors is lost. Reality: In addition to the persistence of some beta cells in the pancreas of donors with T1D, nPOD researchers discovered that these cells are inefficient at producing insulin. But they do produce proinsulin, the precursor of insulin, which implies a functional defect exists for the production of mature (and more potent) insulin. The development of novel therapies may correct this deficiency and benefit patients. Dogma 4: Beta cells are passive participants in their own immune-mediated death. Reality: Evidence from nPOD samples suggests that beta cells may contribute to their own demise. In fact, nPOD investigators find evidence that beta cells in T1D patients are stressed and under such conditions, become more visible to the immune system and less able to resist inflammatory insults. Hence therapies that support beta cells and protect them from stress and inflammation could also help quell autoimmunity in T1D. Dogma 5: Beta cells regenerate in response to a variety of conditions including pregnancy, obesity, and pancreatic injury (note: a concept based on studies utilizing mice). replication and growth are more sustained in early life. While replication is possible in adults, it is exceedingly rare. nPOD scientists are seeking to uncover how regeneration occurs (especially with the influence of age) so that growth of new beta cells may someday be possible. Dogma 6: New beta cells are generated by other beta cells dividing. Reality: Using nPOD samples, researchers have discovered a possible new source of regenerating beta cells in another type of cell that looks like an immature beta cell. These new cells can make insulin, but don’t have the receptors to detect glucose; thus, while they can’t function as a full beta cell, they represent an important step in the rare transformation of glucagon-producing cells into insulin-producing beta cells. Understanding how these new cells mature could lead to therapies that allow for replenishment of beta cells that are lost in T1D. Dogma 7: T1D is a disease that only affects the insulin-producing beta cells (part of the endocrine tissue) in the pancreas, while the rest of the organ (exocrine tissue) is unaffected. Reality: nPOD investigators studied the pancreatic weights of healthy individuals compared to those in various stages of T1D and found the size of the diabetic pancreas is smaller. This finding suggests that the exocrine cells in the pancreas, and not just the endocrine beta cells, are affected in T1D and opens new avenues for research on how this interaction may contribute to this disease. Dogma 8: T1D results from a viral infection. Reality: After years of intensive research related to viruses and the pancreas, nPOD has not, as yet, found evidence that viral infections can acutely lead to beta cell loss and T1D. Nonetheless the role of viruses remains under active investigation and holds the potential to lead to a vaccination strategy and other novel interventions. Dogma 9: What is researched in blood samples may not be reflective of what actually occurs in the T1D pancreas. Reality: nPOD has isolated living pancreatic islets from donors with T1D and identified many forms of self-reactive immune cells similar to those observed in peripheral blood. 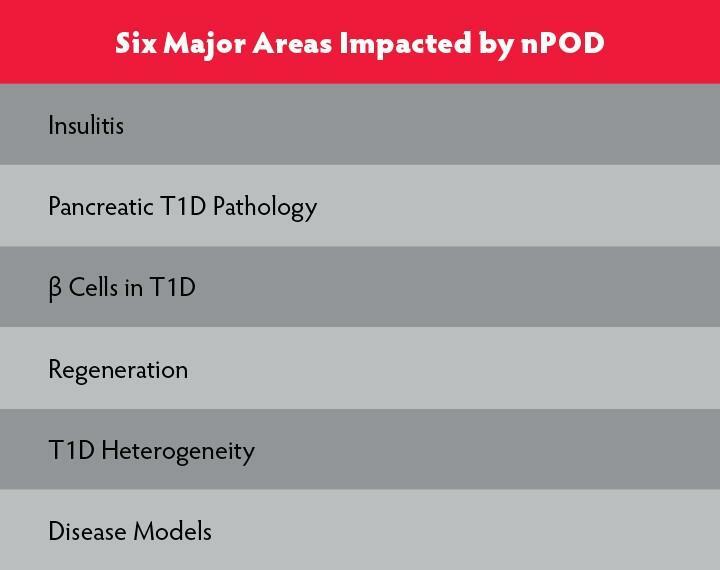 Thus, nPOD is helping to validate disease biomarkers that can be assessed in living subjects that will benefit diagnostic approaches, risk assessment and ultimately new, more effective, and safer therapies. Dogma 10: T1D is a singular disorder. Reality: T1D is not just one disease; nPOD researchers have noted that patients differ in having different types and severity of alterations in the pancreas, the nature of the autoimmune responses, and the type of genetic background that contributes to T1D development. The disease process may lead to beta cell dysfunction and beta cell loss in different ways, but in the end, all have somewhat similar symptoms and insulin deficiency. 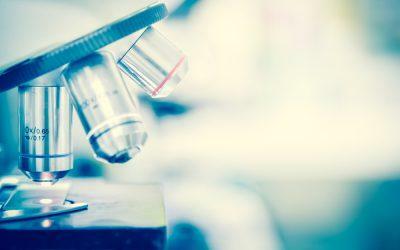 Understanding this may lead to improved diagnosis and disease management. Based in part on these and other success stories, over recent years, nPOD has served as a stimulus to the formation of many new programs directed at studies of the human pancreas, both within the United States (e.g., the National Institutes of Health’s Human Islet Research Network’s (HIRN), Human Pancreas Analysis Program (HPAP), the Leona M. and Harry B. Helmsley Charitable Trust’s Handel‐P program) and Europe (e.g., EuPOD). As presented herein, studies of the human pancreas have not only lead to major improvements in our understanding of T1D’s pathogenesis but are poised, in ensuing years, to provide for advances in the diagnosis and treatment of the disease, as well as potentially…a means to prevent and/or cure it. 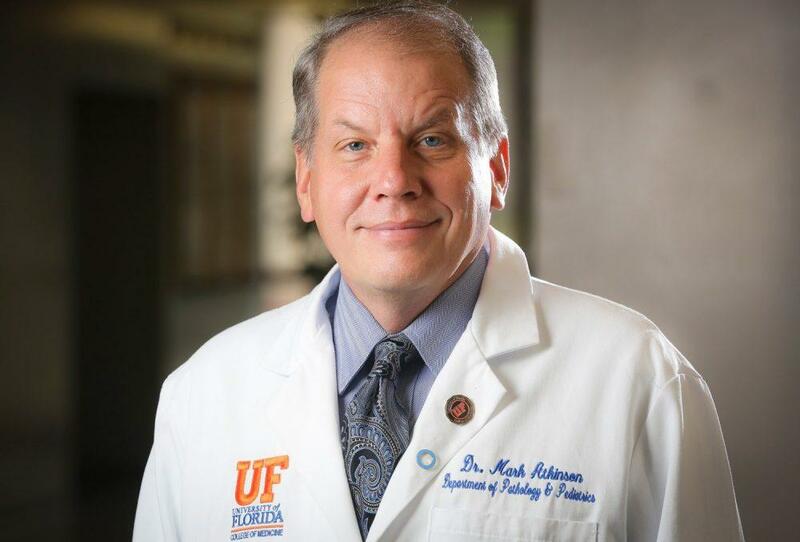 About our expert: Mark A. Atkinson, Department of Pathology, Immunology, and Laboratory Medicine, The University of Florida Diabetes Institute, Gainesville, Florida. 1. Pugliese A, Yang M, Kusmarteva I, et al. The Juvenile Diabetes Research Foundation Network for Pancreatic Organ Donors with Diabetes (nPOD) Program: goals, operational model and emerging findings. Pediatr Diabetes. 2014;15(1):1‐9. 2. Burke GW, 3rd, Posgai AL, Wasserfall CH, Atkinson MA, Pugliese A. Raising Awareness: The Need to Promote Allocation of Pancreas From Rare Nondiabetic Donors With Pancreatic Islet Autoimmunity to Type 1 Diabetes Research. American Journal of Transplantation. 2017;17(1):306‐7.